Sandra Day O’Connor is in the news today saying that the Supreme Court should have stayed out of the 2000 Bush/Gore election. 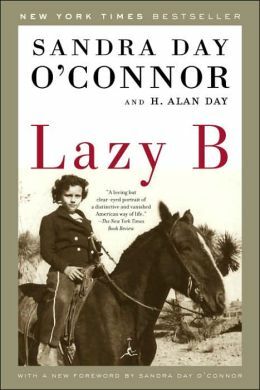 So I thought I would take the opportunity to review her book, which I just finished, entitled The Lazy B: Growing Up on a Cattle Ranch in the American Southwest. She co-wrote it with her brother Alan. Since I grew up on a cattle ranch, I love reading these kinds of stories. They fill me with nostalgia for my childhood home. Since ranching in the Southwest is very different from ranch in NE Oregon, there really were quite a few differences between her upbringing and mine. I loved the long descriptions of people who lived and worked on the ranch. I loved the honorable attitude of the farmers. This is something I’ve heard people give lip service to my whole life, but it’s something I’ve grown to appreciate more as I get older and see how it plays out in the real world. The people described in the book were completely honest with their word. In many ways, they selflessly sought the best outcome for each situation. In my world, people are far more self-serving and ambitious to a fault. It was refreshing to see how doing the right thing for the whole group was consistently best for the individual. Of course, there were politics. O’Connor, like in her time on the Supreme Court, was a good politician in the book, pointing out problems, analyzing them, but never really taking a stance one way or the other. Good politicians and critical thinkers know that it’s usually more complicated than that. It’s usually not “one way or the other.” So I appreciated that nuance. I would have seen more critical commentary of her father and a deeper portrait of her mother. The father calls the shots and wins every argument to a fault. The brother is cocky and bullheaded–even in adulthood. The mother seems typically suppressed for the time period. Everyone grew up, married, had children, and the lifestyle of the ranch–though beloved–was no longer sustainable because of the changing social and financial landscape. To me it represented a tragedy that could have been explored in more detail. This entry was posted in books, family, life, reading and tagged politics on April 29, 2013 by sherewin. Last week, I oriented myself to the labor and delivery area of the hospital, which was the final step before officially starting as a volunteer doula. I figured out where I could get water, ice, sheets, towels, washrags, birth balls, and grape syrup (which is the only (unsatisfying) addition to ice chips that epidural moms are allowed throughout their entire labor). During the orientation, I was able to apply some comforting counter-pressure to a young mother whose epidural was taking awhile to kick in. I made attempts at Spanish conversation with her parents. Note to self: I must review key terms in Spanish for labor and delivery. In the end, I spent most of my* time with the only mother on the floor who was doing an unmedicated birth. When I met the couple, I was really struck by how relaxed they were. We tried some of the tips for “getting labor started” and chatted for quite a bit. I didn’t realize until later that we were building a relationship that would come in handy the next day! The following day was my first official day to volunteer. Not surprisingly, the same woman I’d worked with the previous day had not yet delivered and said she would like to have a doula. I arrived and spent about half of the day with the couple–through labor, delivery, recovery, and first breastfeeding. I’m learning more and more about who I am as a doula. I’m also developing strong opinions about the kind of care a laboring and postpartum mother should receive. For instance, my training in yoga is so strong that I have a hard time encouraging a woman to push if she is not feeling the urge. I’m more about encouraging her to do what her body tells her (if you’ve ever taken a yoga class, you’ll know what I’m talking about). There will be times when I will need to cue pushing–especially with epidurals because they numb the urge to push. But as of right now, it just hasn’t seemed like my role. I’ve also been able to see firsthand one of the other huge benefits of unmedicated labor and delivery (the kind of benefit that could change the world for the better), which is that women get a glimpse at how powerful they are. When that strength is unecessarily numbed, women can miss out on experiencing their potential. My disclaimer to this of course is that epidurals have their place and are appropriate for some women in some situations. However, as a culture I think we are far too quick to numb ourselves from feeling and experience. When we open ourselves up to that experience, we have the potential to access something really powerful. As I mentioned in an earlier blog post, I’m a bit surprised by how quickly this is taking off for me. So far, I’m still really enjoying it, and I think I’m well suited for the work. *When I blog about births that I attend, I’m mostly just talking about my experience and how I felt as the attending doula. I’ll leave it to the moms to tell the rest of the story if they wish. This entry was posted in doula, enlightenment, life, love, yoga and tagged birth, labor and delivery, motherhood on April 28, 2013 by sherewin. My dad has been reading lot of local history. I’ve been into it more than ever too, so I’ve read some of his recommendations. Most recently, I read My Life on Joseph Creek by Julie Davis. Her love and knowledge of Wallow County is very sweet. Dad warned me that the writing wasn’t very good. I’m sure that an editor would have made all the difference in the world. There were a few engaging sections, but I had to skim through most of the book. Her use of exclamation marks is excessive—even for a patient reader such as me. The story and the history are interesting, but probably only for someone who grew up in NE Oregon. The photos of the canyons are beautiful. The author is truly in love with and interested in the country, and, as someone who also loves that land, it made me happy. Beyond that, the book needs some serious editing. This entry was posted in books, family, reading, Uncategorized, writing on April 22, 2013 by sherewin. Things are taking off with the doula work in ways that are somewhat terrifying and also let me know that I am on the right path. My mom always says that when you’re on the right path, it feels right. Everyday is not a struggle. Of course, there are challenges to face, trials to overcome, but there is a sense, on a larger scale, that you’re doing the right thing. And, I definitely have that sense with the doula work. I’ve really had to work at many of the good things in my life. For example, I’ve had publications rejected. I take it in stride now. I’ve been rejected by several graduate programs (and yet I was accepted at a few too, and recently finished up my PhD as a result). I hear stories where schools, jobs, publications, etc. seem to just fall into the laps of smart and wonderful people, but that’s not my story. For me, there’s been plenty of rejection along the way. I also have a sense that I actively chose my path, my line of work, etc. instead of having it happen to me. It’s a good feeling, and it means that I really like what I do for a living. But, what does this mean? It means that the ease at which the doula work has emerged makes me take notice. The work is still very new, but I’ve had an inkling, for several years that I might be good at this doula thing. The ease at which this work is opening itself to me makes me think I might be more on the right path with this than with anything else I’ve ever done. To be fair, doula work *is* easier than getting a PhD, and so maybe that’s partly why it feels…effortless. Still, there is an attentiveness and a very specific kind of emotional intelligence that is required. Teaching yoga has definitely helped prepare me for this work, but I also seem to have it naturally in a way that I don’t in my other work. 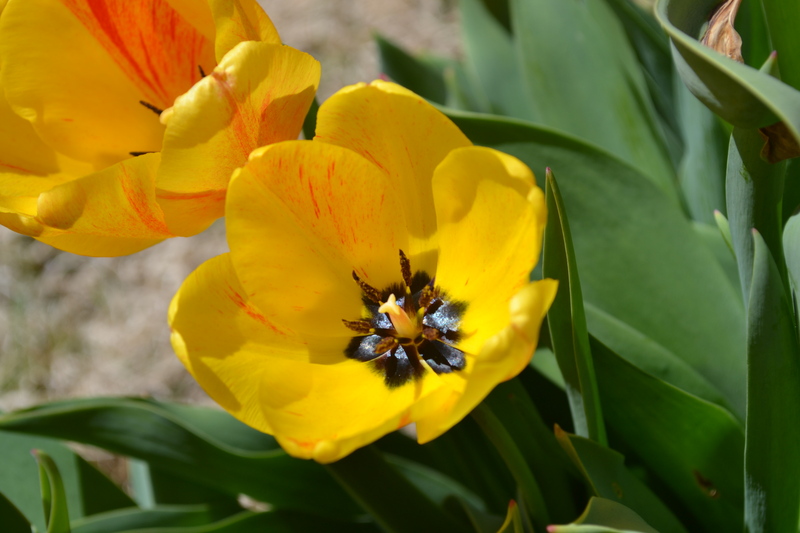 This entry was posted in doula, life, love, work, yoga on April 21, 2013 by sherewin. Yesterday morning there was snow on the ground. Everyone is trying to walk around in light sweaters, but the weather really calls for a full-on winter coat. Today is another cold, dreary day. Despite that, I’m having a good day, talking to good people, and just generally getting stuff done (but not grading, anything but grading!). This weekend was nice, though. The birds were feeling good and ate all of the birdseed in the feeder. 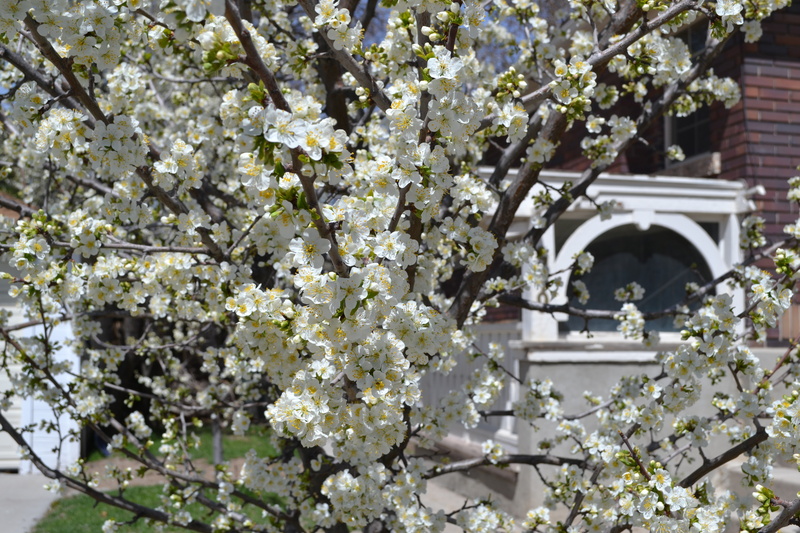 Plus, I got a few shots of spring in my neighborhood. 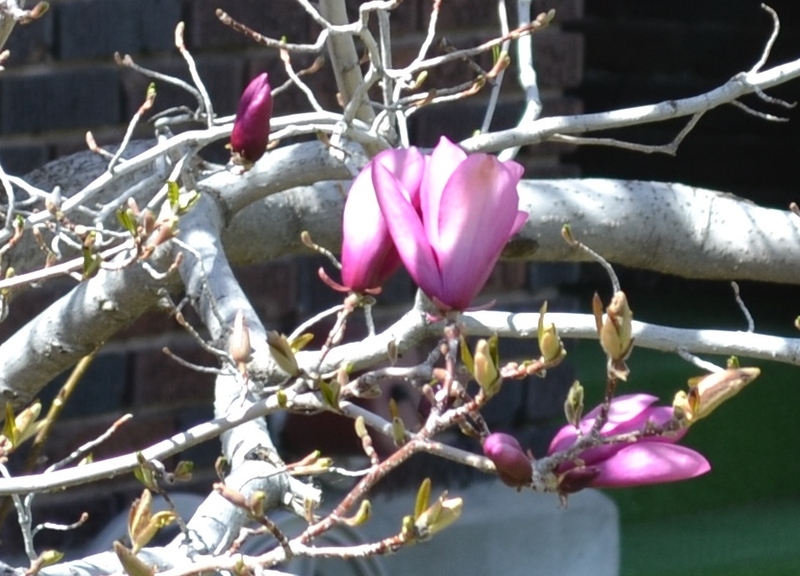 I think this is some sort of magnolia tree. 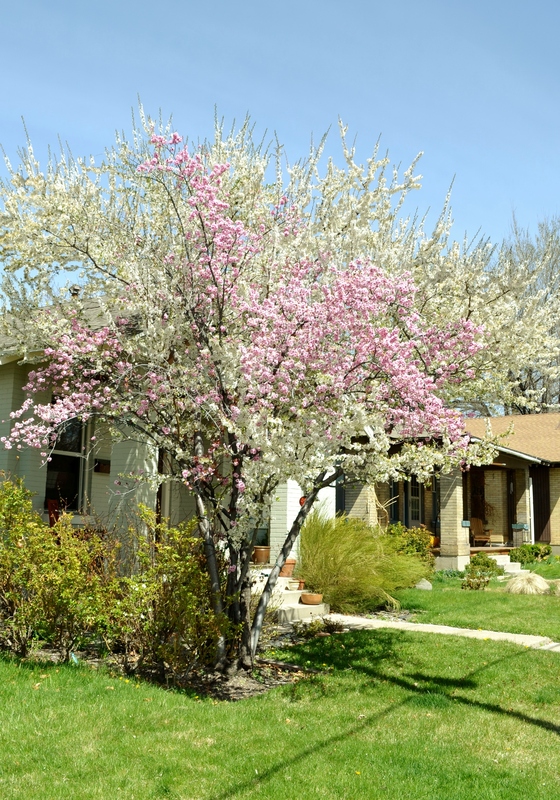 This lovely tree has both pink and white blossoms! 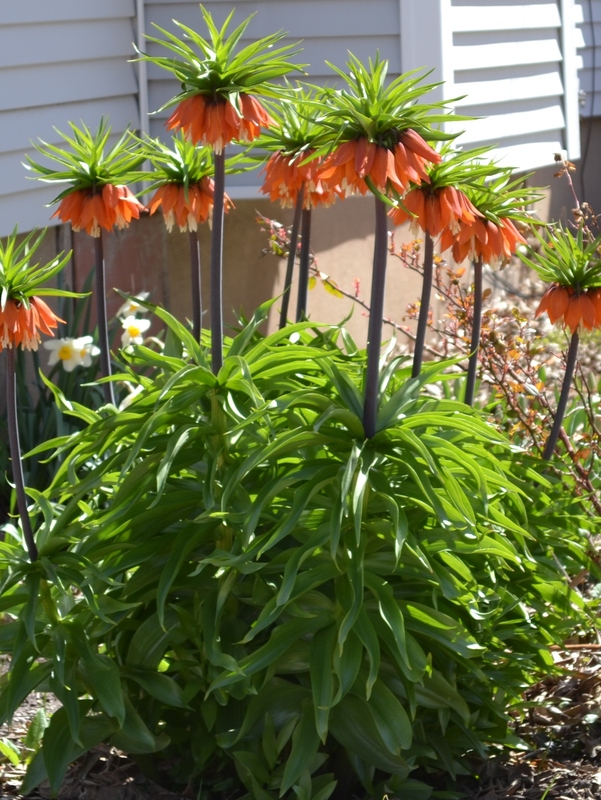 Crown imperials always remind me of home. 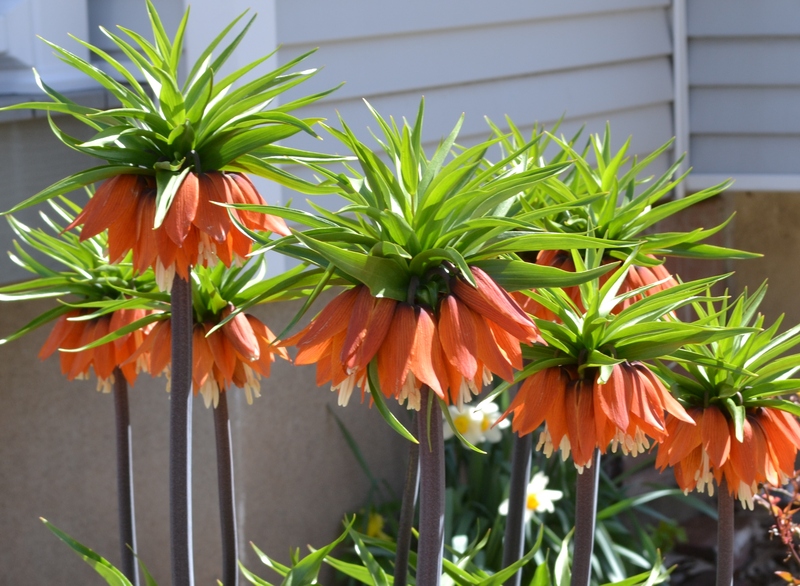 Plus, they look like something from a Dr. Seuss book. 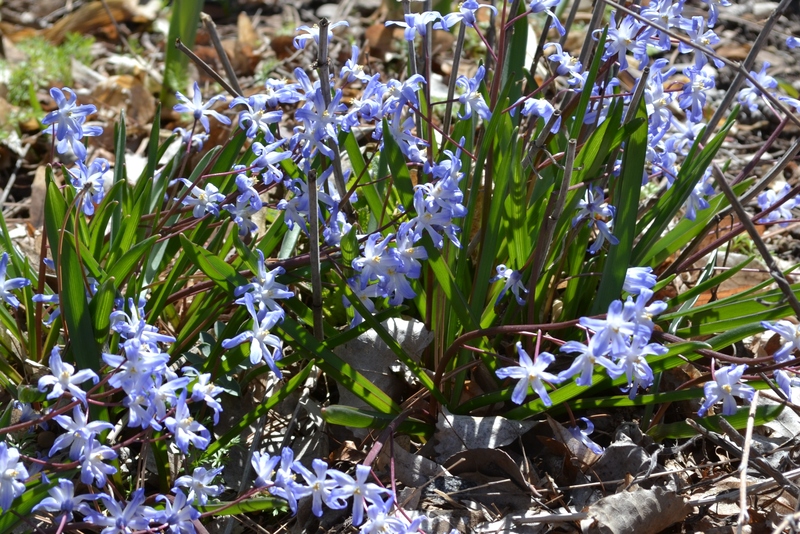 …and these guys, which are, evidently, “Lucile’s Glory-of-the-snow.” Lovely. This entry was posted in life, photography on April 16, 2013 by sherewin. 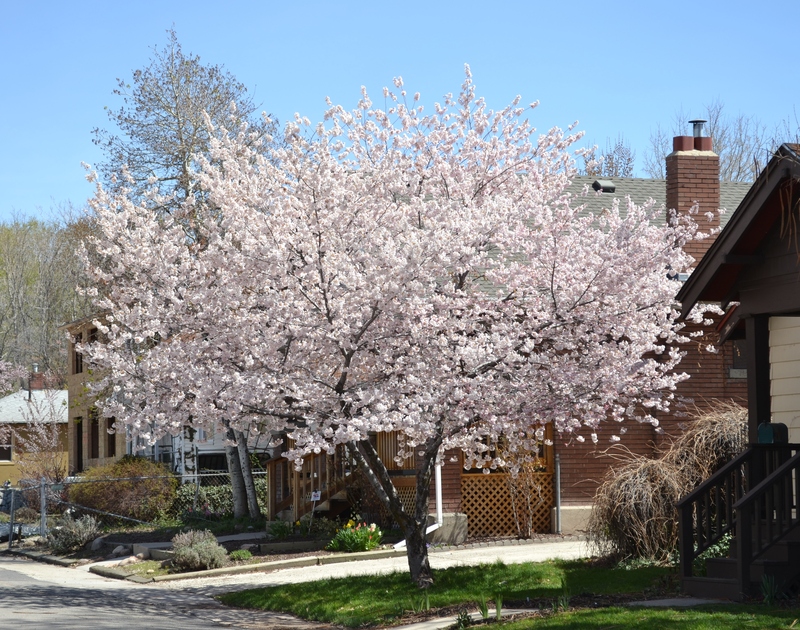 There is a beautiful tree in bloom down the street. 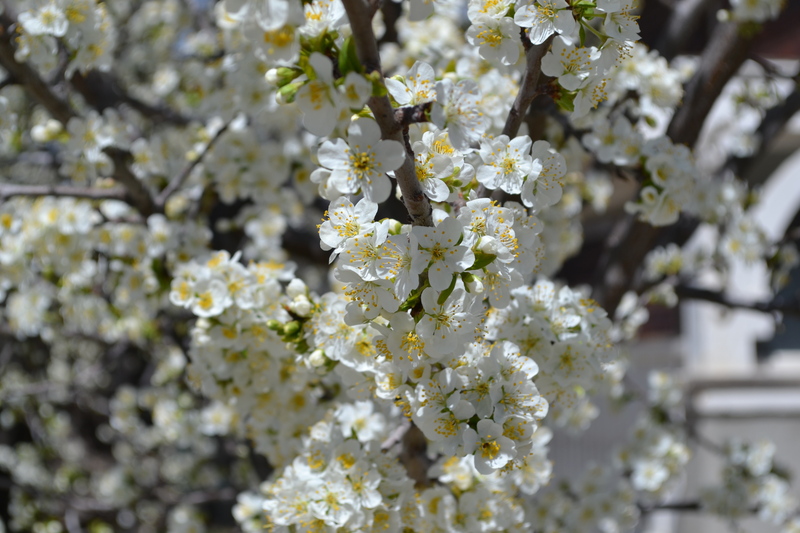 It must be grafted because most of the blooms are white, but about a third of them are pink. It’s so beautiful. Hopefully I can get a picture of it before the blooms are gone. Today, though, it’s a bit rainy. 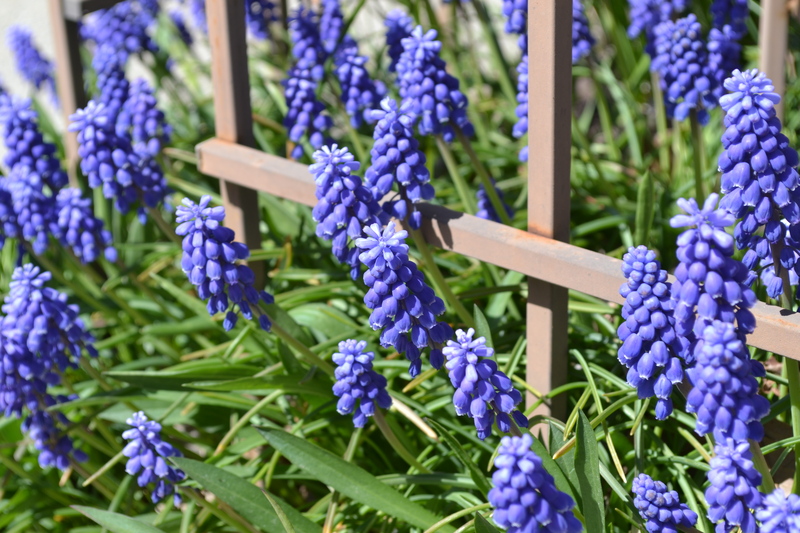 Not great for pollination but that’s spring and these things manage to survive somehow. I had a long week of work last week. 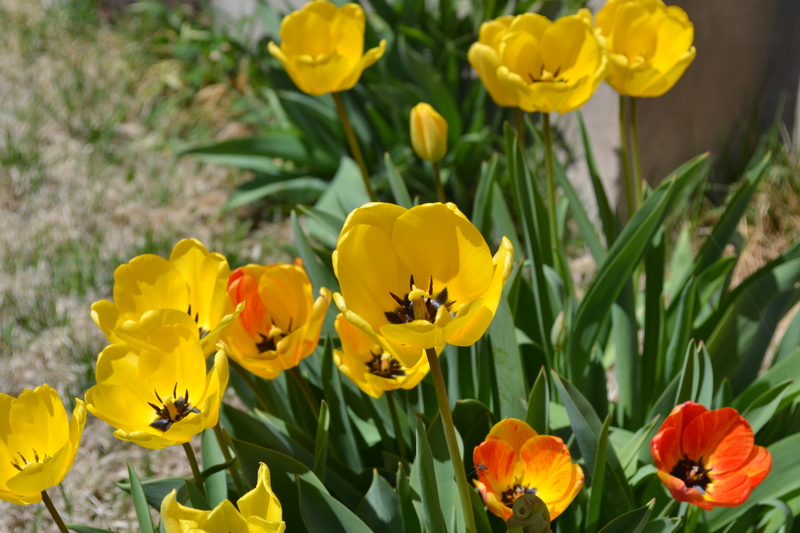 When I finally got home on Friday, I immediately took some photos of the tulips that are in bloom outside my front door. I’m glad I did too because the sun was shining that the rest of the weekend is starting to look pretty rainy. 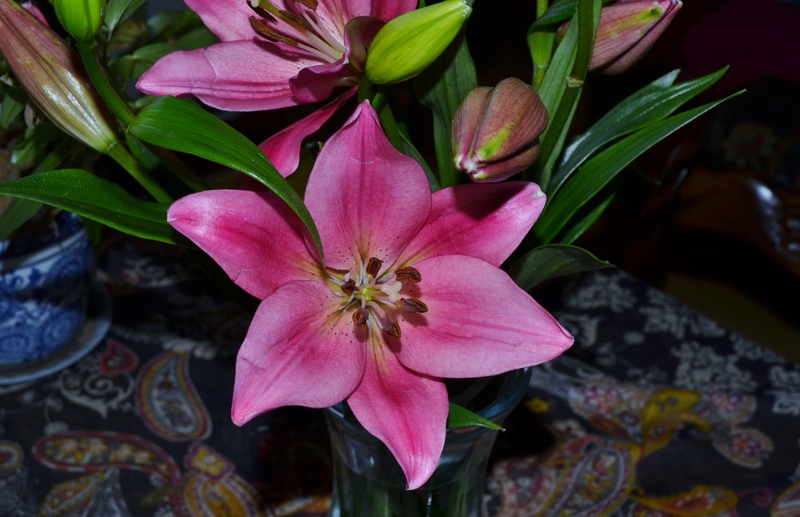 Here are some photos of the flowers. 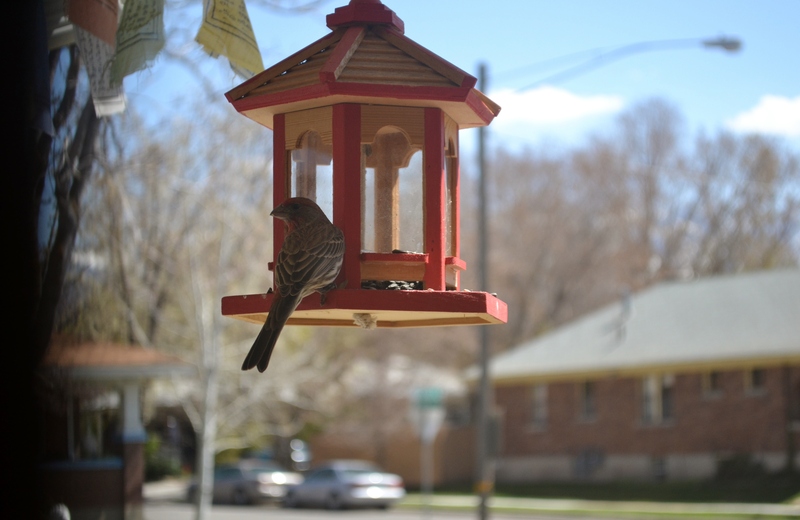 I also took some time to marvel at the birds at the bird feeder. I put the feeder out several months ago, and no bird seemed to be interested in it. All that has changed now. First, a pretty little cow bird found the feeder and ate sparingly. Now, that’s all changed. The birds now have orange-ish breasts and eat very aggressively. I think they’re house finches. (There are seed shells all over my porch!) But, they’re beautiful and I love hearing them squabble outside my front door. This entry was posted in enlightenment, life, photography, work on April 14, 2013 by sherewin. Since I have a full-time job that I love, I don’t want or need to doula to earn a living. Some women do earn a living working as doulas, and that’s great. I think the volunteer doula program at the local hospital is going to be such a good program for me. The volunteer program offers a free service for women who want a doula, but would otherwise not be able to afford a doula. Volunteering also works with my schedule. I can sign up to volunteer during days when I know I’ll be available. Even then, I’ve heard that the volunteer doula program is not well-utilized, so I might not be called in very often. I’ll soon find out for myself because I’ve started the process of becoming a volunteer. One interesting thing about this process is that the doula community tends to be all about no medication/low intervention birth. The thinking is that women’s bodies can give birth. Medication and intervention is rarely needed (but it is needed sometimes and thank goodness we have it). At my doula training, there were even people there who were against vaccinations. I’ve read up on this a bit, and I understand the heated nature of the debate. There is a lot at stake either way. So, despite the fact that doula culture is often immersed in a culture of no/low medication, in order to volunteer as a doula, I have to get shot full of all kinds of vaccines. I’m being dramatic. Sort of? Thank goodness I’ve already had many of the vaccines and don’t need to do those ones again. Still, they had to take a blood test to confirm I’ve had chicken pox. I have, but if the immunities are too low, I’ll have to get a shot (boo!). I have to get a flu shot in about a week, which irritates me because I would not doula if I was having flu symptoms, the flu season is almost over, I read that this year’s flu shot was not very accurate, and I have a sense that I’m somehow weakening my immune system by not allowing exposure to these things from time to time (which is unfounded). Today, I to get the tetanus/whooping cough one. I also had to get a TB skin test. Now, that one I understand. BLURGH! That’s a lot of toxic, viral matter going into my body! Here’s the thing: I’ve had many of these shots before. It’s nothing new. I’m just incredibly hesitant about the whole process. I wish I didn’t have to get them. But, in the end, I believe in this doula work and believe that the sacrifice of getting several vaccinations is worth it for the work that I’ll be able to do. This entry was posted in doula, life, work and tagged doula training, flu season, flu symptoms on April 9, 2013 by sherewin. When I turned 30, I didn’t blink. I felt smarter, stronger, and better than ever. If this is aging, I thought, bring it on! I still feel that way, but saying the new age always takes a little getting used to. I’ve been thinking a lot about the year ahead. I’ve been so goal oriented with college for forever the last 10 years or so that this new life outside of being a student still feels very strange. Now, I work in academia and there is work to be done for tenure, but that all seems be coming along nicely. And, since I’m still working in academia, the transition from school to work is not nearly as rocky as it must be for others. Still, I’ve felt a bit of hand wringing. “What now?” I’ve had a strong desire to do more writing–writing that is not of an academic nature, that is. Maintaining this blog and writing regularly here has helped with that, but I want to do more. I’ve carefully taken pictures. I’ve trained and begun working as a doula. But, I have a sense that there is more. Last year will be noteworthy because it was the year that I earned my doctorate. It was the year I moved to Utah. It was the year I began a tenure-track job. It was a monumental year. I’m not the type to compare years, or to even think in years, really, but I’m sure this year will be unique in it’s own way. It will have it’s own triumphs and excitements. Perhaps there will be more doula work? Perhaps I’ll find my way back into teaching a yoga class or two? I have the sense that there is something on the horizon. I’m just not sure what it is. This entry was posted in doula, enlightenment, life, photography, work, writing, yoga and tagged health on April 6, 2013 by sherewin. Today is Easter. (Happy Easter!) I called home this morning to wish my nephew a happy day and to ask him what the Easter Bunny brought him. He’s still very young. Of course he likes holidays gifts, but I’m still not sure what he thinks about the whole thing. He probably just wakes up in the morning every few months to find treats and presents. If I were there, I’m not sure what I would tell him Easter means anyway. Today was one of the warmest, loveliest days we’ve had in Utah this year, and Z and I decided to go to the park. Every picnic table was occupied by large Latino families. There were kids running around playing soccer and riding skateboards down the hills. There was barbecue. It was really, really nice. I wish that’s what Easter meant for my family. I wish that was the thing my nephew was learning about what Easter means. Growing up, we spent most holidays with extended family, or with the immediate family. They were always acknowledged and celebrated with food and gifts. But, right now, we’re all so spread out and disorganized that it’s hard to celebrate holidays the way we used to do. In a lot of ways I admire the families at the park, who have it together enough to plan to enjoy each other’s company at the park. It’s such a simple thing, but I now live in a world where that seems almost insurmountable. Today I wished that I was with my family. I wished that I was closer to my nephew. I wished that we were all together. I don’t really get homesick very often anymore, but today I was. It doesn’t help that I’ve been reading a book by Sandra Day O’Connor about her time growing up on a cattle ranch. It has only made me miss home all the more. This entry was posted in family, life and tagged home on April 1, 2013 by sherewin.